Acclaimed Australian film Samson & Delilah has won the Best Feature Film Award at the third annual Asia Pacific Screen Awards, announced tonight on the Gold Coast, Queensland, Australia. Produced by Kath Shelper and written and directed by Warwick Thornton, Samson & Delilah previously won the Camera d’Or prize at this year’s Cannes Film Festival, six major awards at the recent Inside Film Awards in Australia and has been nominated for 13 Australian Film Institute Awards. Representing the first time an Australian film has been nominated in the Best Feature Film category of the APSA’s, Samson & Delilah competed against four films by renowned filmmakers from China (Chen Kaige, Lu Chuan), Iran (Asghar Farhadi) and the Palestinian Territories (Elia Suleiman), to receive the highest accolade in film in the Asia-Pacific region. Warwick Thornton was on the Gold Coast to accept the award. The Asia Pacific Screen Awards were presented tonight at a glittering ceremony on the Gold Coast, Queensland, Australia, attended by more than 800 film industry luminaries from the Asia-Pacific region, and around the world. Thirty seven films representing 16 countries and territories were finalists in the Awards, with winners coming from Australia, Japan, Republic of Korea, Islamic Republic of Iran, Israel, Palestinian Territories, People’s Republic of China and Thailand and high commendations from the Jury for films from Australia, India, Republic of Korea and Russian Federation. 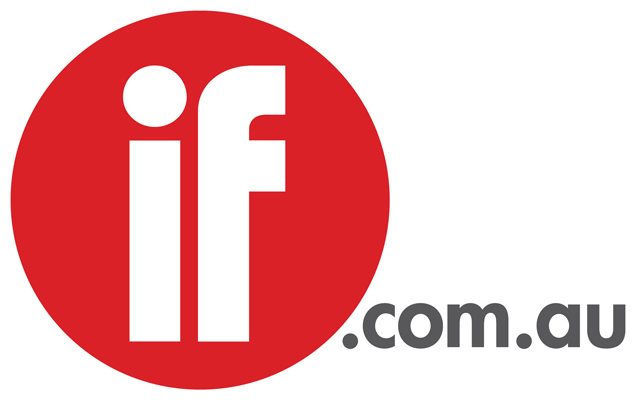 The Awards were determined by an International Jury headed by notable Chinese director and producer Huang Jianxin, joined by Tahmineh MilÄÂni (Islamic Republic of Iran), Gina Kim (Republic of Korea), Aden Young (Australia), Andrew Pike (Australia) and Pryas Gupta (India). Japanese star Masahiro Motoki was on the Gold Coast to receive the Best Performance by an Actor Award for his performance in Okuribito (Departures) and the Best Performance by an Actress Award winner was Korea’s Kim Hye-ja for Madeo (Mother). China’s Nanjing! Nanjing! (City of Life and Death) received two awards: Lu Chuan for Achievement in Directing and Cao Yu for Achievement in Cinematography. Best Screenplay was awarded to Asghar Farhadi for Darbareye Elly (About Elly). The Jury awarded two Jury Grand Prizes to the director of Darbareye Elly (About Elly), Asghar Farhadi (Islamic Republic of Iran), and the director of The Time That Remains, Elia Sulieman (Palestinian Territories). The Time That Remains is the first film from the Palestinian Territories to be nominated in the APSAs. Best Documentary Feature Film was awarded to Hashmatsa (Defamation) a co-production between Israel, Austria, Denmark and USA and Australia’s Mary and Max, produced by Academy Award winner Melanie Coombs, won Best Animated Feature Film. Ye Haeng Ja (A Brand New Life)from Republic of Korea was awarded Best Children’s Feature Film and is produced by Lee Chang-dong, previous APSA winner for Best Feature Film in 2007, Secret Sunshine. Thailand’s Sawan Baan Na (Agrarian Utopia) won the UNESCO Award for outstanding contribution to the promotion and preservation of cultural diversity through film and the Award was accepted by the filmmaker, Uruphong Raksasad. This is the first year that Thailand has been nominated in the APSAs. Japanese producer Isao Matsuoka was the recipient of the FIAPF Award for Outstanding Achievement in Film. Mr Matsuoka was on the Gold Coast to personally accept this great honour. Four high commendations were awarded by the Jury: to Yang Ik-june for Best Performance by an Actor for Ddongpari (Breathless; Alisher Khamidhodjaev and Maxim Drozdov for Achievement in Cinematography for Paper Soldier; Tahaan: A Boy with a Grenade for Best Children’s Feature; and Gandhi’s Children for Best Documentary Feature. The Awards Ceremony featured a special performance by Japanese star, AI, who performed the feature track from Okuribito (Departures). The awards were hosted by Australian television’s Indira Naidoo and Peter Thomson and special guest presenter, CNN’s Anna Coren. 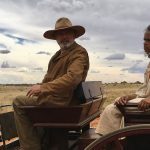 The ‘Sweet Country’ conundrum: Is it getting the appreciation it deserves?